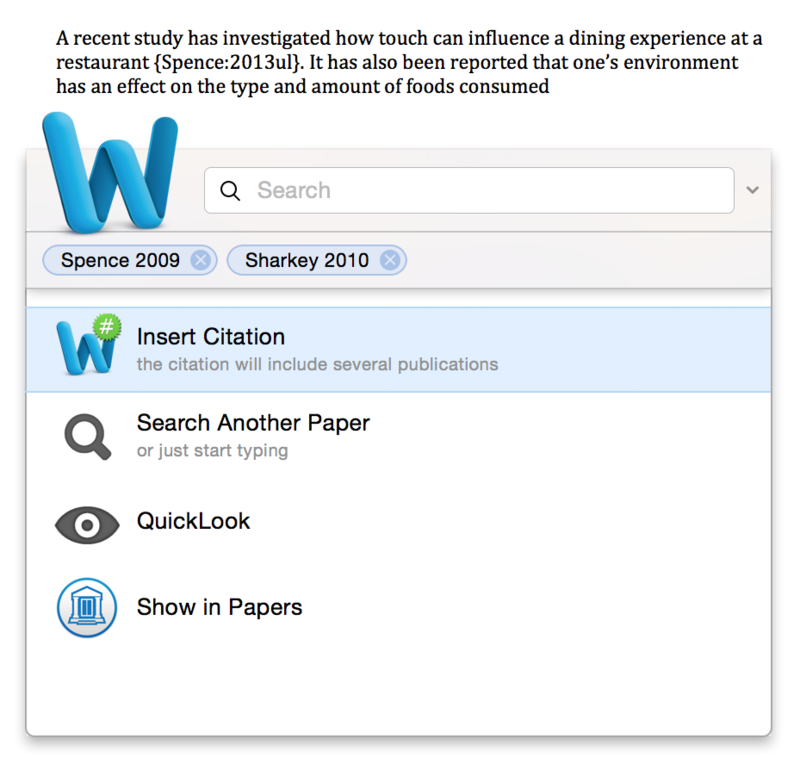 Citations is the revolutionary citation tool included in Papers. 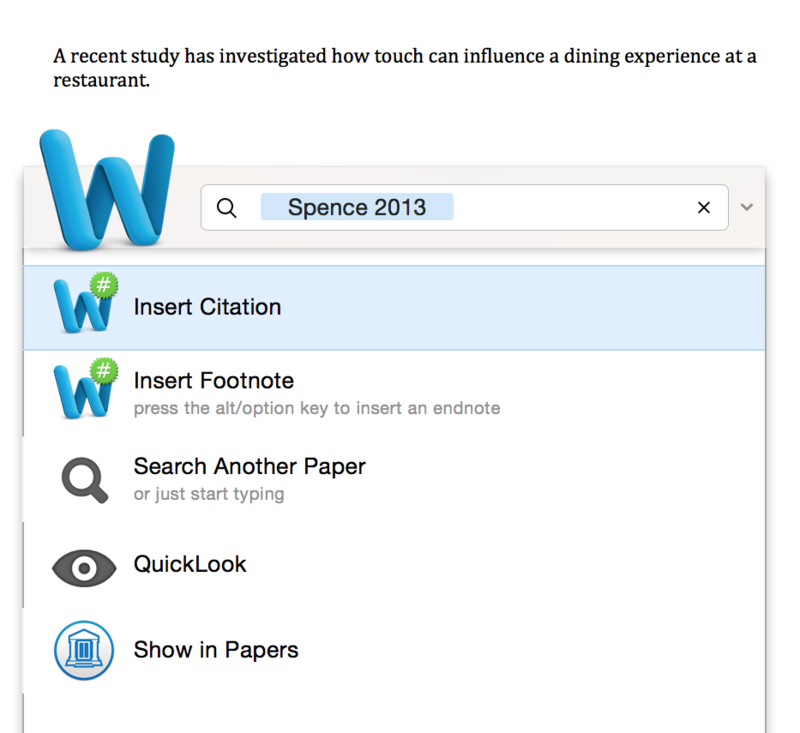 You can search and cite literature directly from your Papers library when writing. 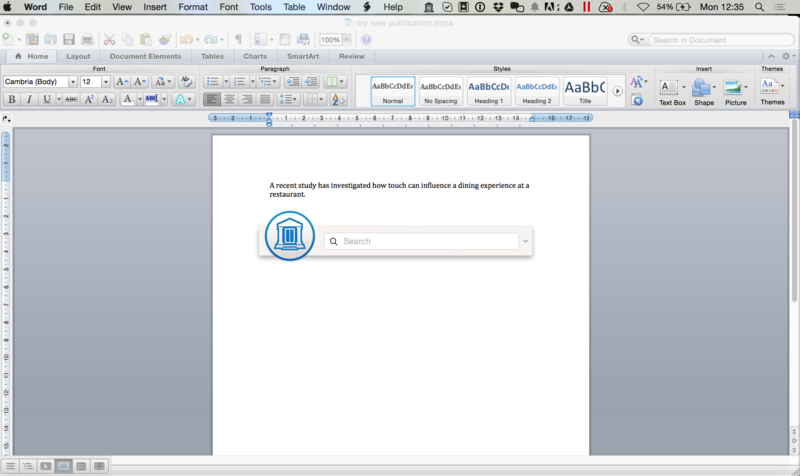 Using the Citations tool in Papers 3 for Mac, you can enter a citation in almost any application. 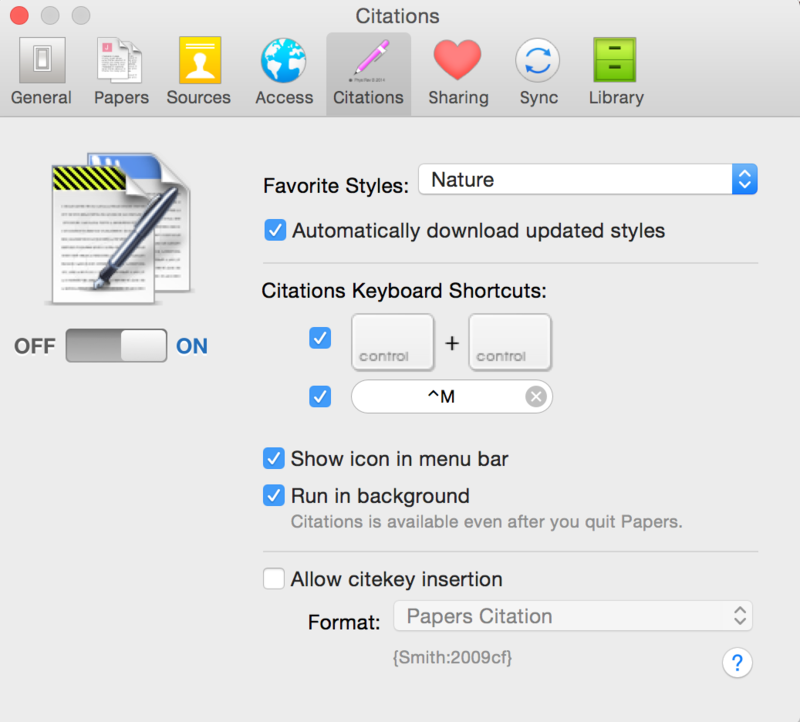 The first step to using Citations, is making sure it is turned on from the Papers > Preferences > Citations menu. 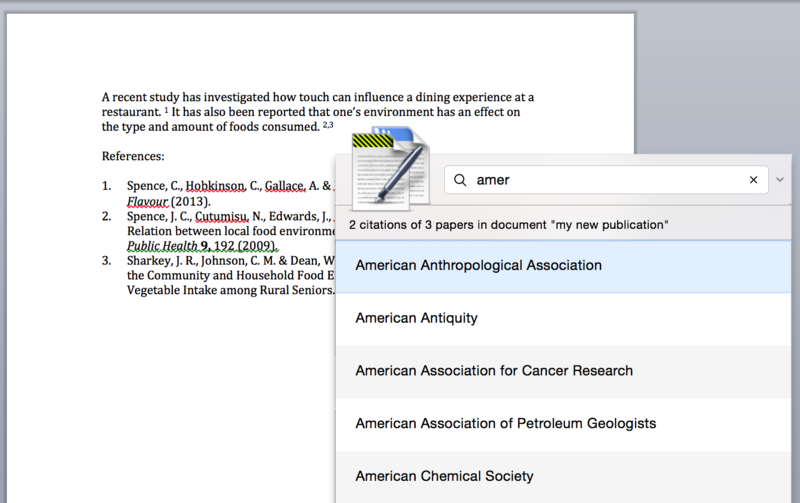 The default keyboard shortcut (on Papers for Mac) to view the citations tool is ctrl + ctrl. You can also customise the keyboard shortcut by manually entering a shortcut in the bar below the ctrl + ctrl option. Whenever you are ready to insert a citation into your manuscript, just use the ctrl + ctrl keyboard shortcut. 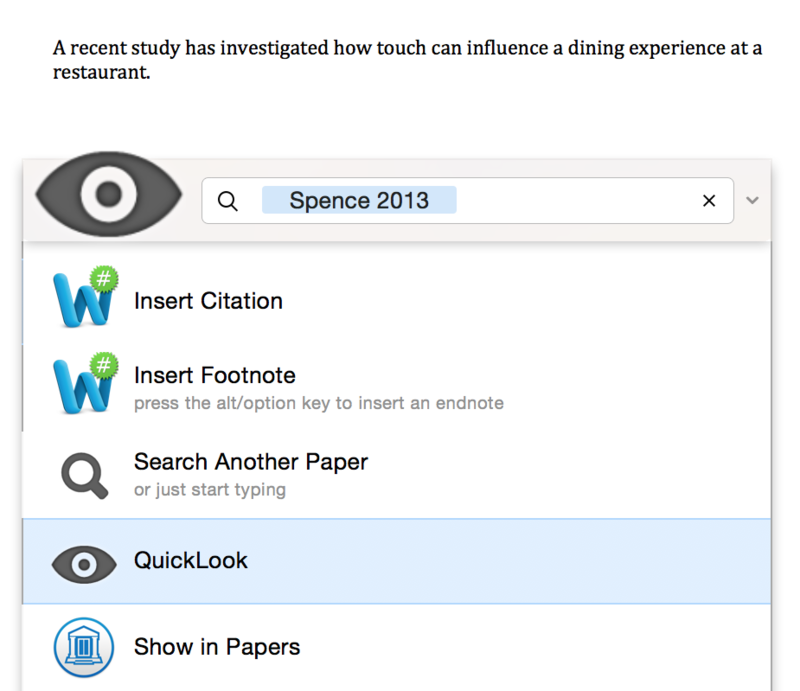 Start searching your Papers library by entering a keyword, part of a title, or the name of the author for the paper you want to cite. If you have found the correct paper, click on it to select it. 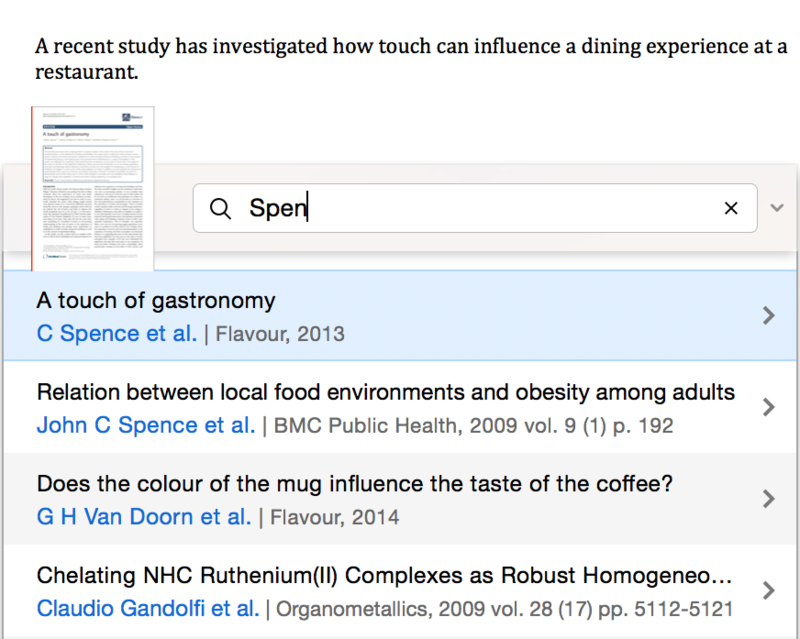 If multiple search results are returned for your search parameters, select among the results which article you want to cite, or search again. 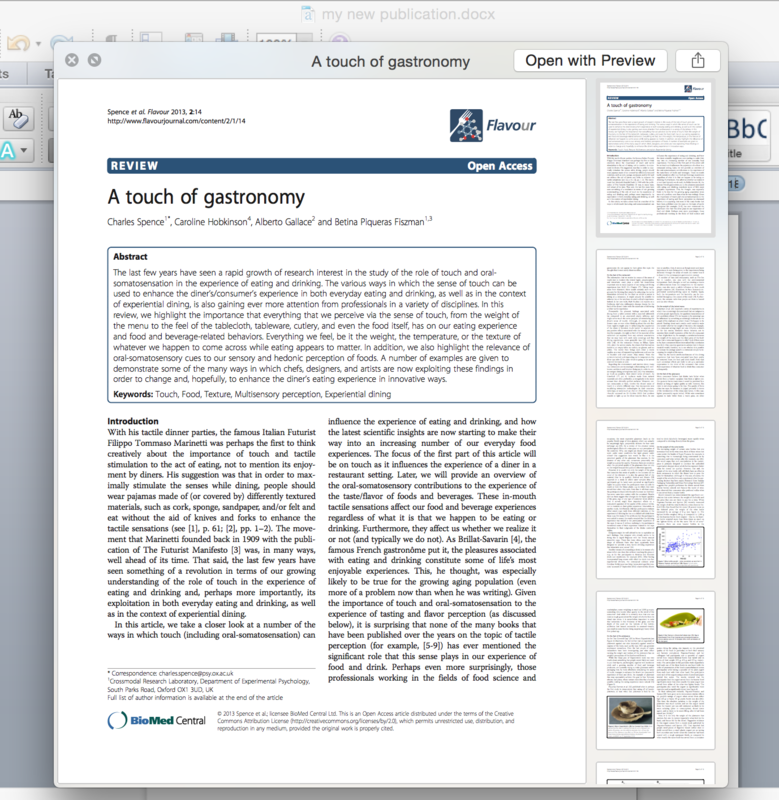 *To preview an article before entering the citation, you can select 'QuickLook' and hit Enter. To insert the citation, click on "Insert citation". When you are finished writing your manuscript, you are now ready to insert your reference list. 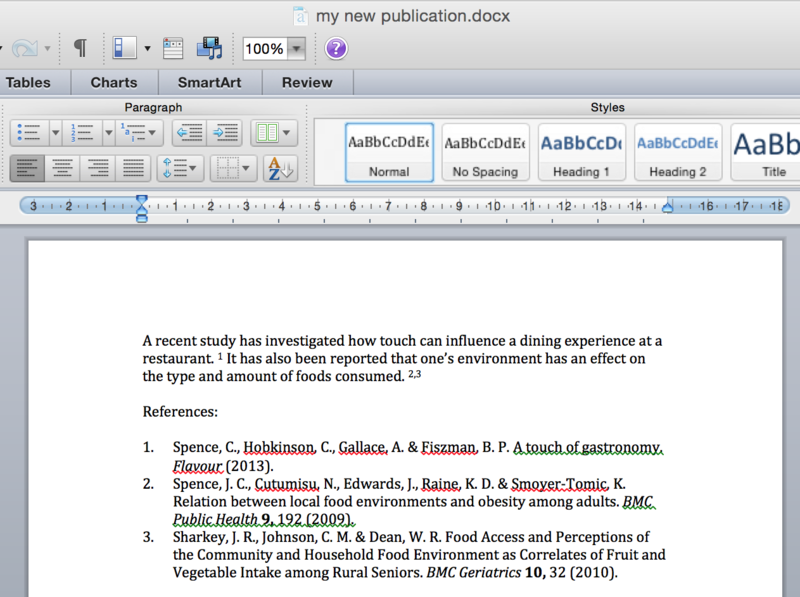 All papers cited using Papers Citations will be included in your bibliography, which is formatted according to the style you select(ed). Use the ctrl + ctrl command again to open citations. 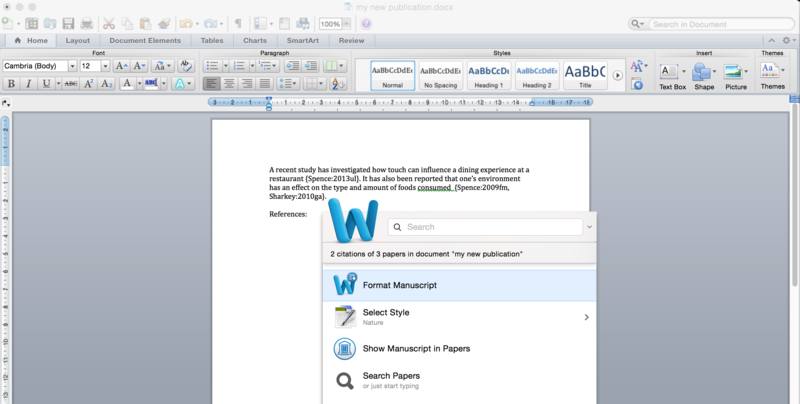 Select 'Format Manuscript' and hit Enter. Your manuscript is now formatted and the bibliography is added where your cursor was last. To change the style, again use the ctrl + ctrl commnd and click 'Select Style'. 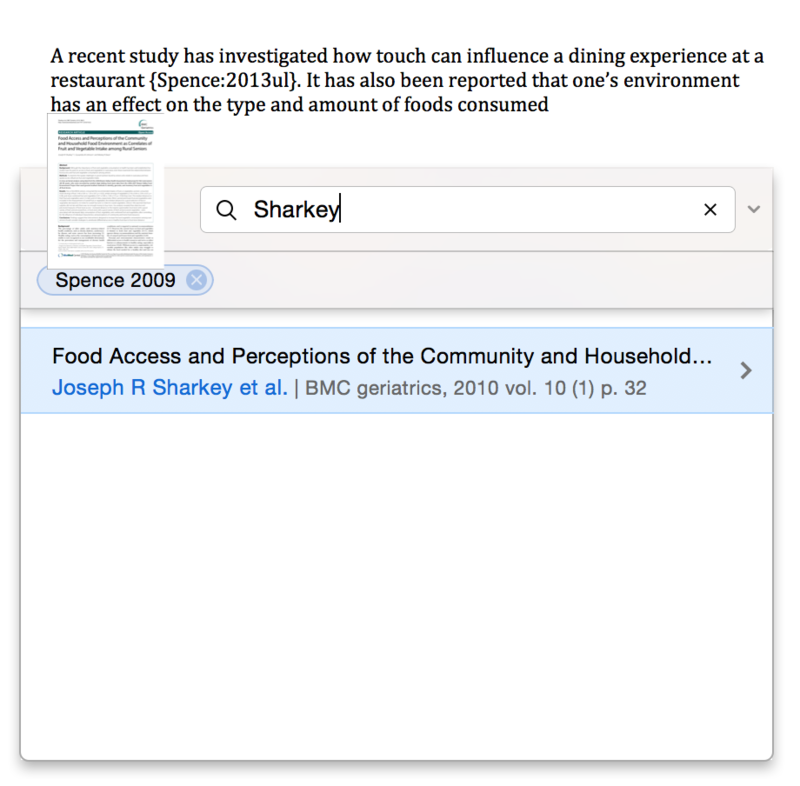 Browse available citation styles or type the name of the journal in the search box. Keep in mind that not all journals might be listed, but most journals will say they use a particular style, e.g. the same style as Nature, or APA. Papers will only show your (default) favourite citation styles, the remaining 7000+ styles can be accessed by using the search box.